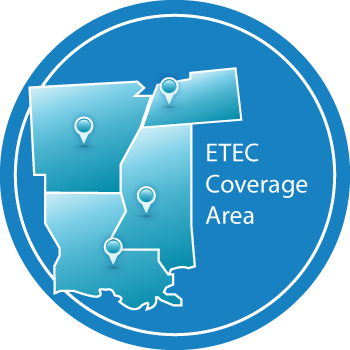 ETEC is a manufacturer's representative organization covering both the municipal and industrial water and wastewater markets in Louisiana, Mississippi, Arkansas and Western Tennessee. We partner with a range of manufacturers to offer our clients the highest quality products for their environmental projects. In addition, we continue to seek manufacturers that not only produce stellar equipment, but are also technological leaders in their field. ETEC has in-depth knowledge and years of experience in municipal projects, and our professional staff has specific industrial expertise in such areas as pulp and paper, petrochemical, and poultry processing. Our depth of knowledge is matched by our deep team, which features eight outside salespersons, eight support staff and six service technicians. With these resources our clients can feel confident they will be consistently provided with exceptional service and guidance they can trust.